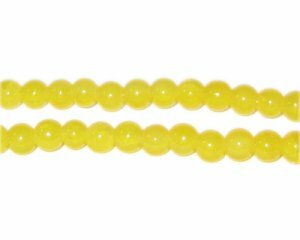 These are 6mm Yellow Agate-Style Glass Beads on a 16" string, approx. 75 beads. Lovely beads! Fast service, quality beads. Very nice, don't hesitate to purchase from this merchant!